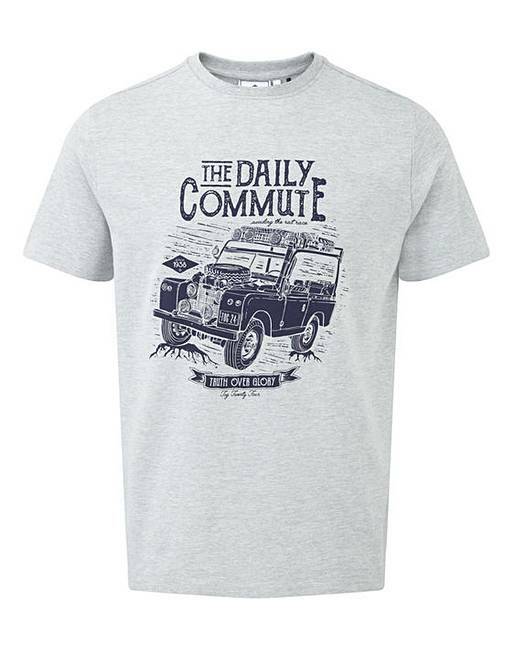 Tog24 Kelton Mens Graphic T Commute is rated 5.0 out of 5 by 1. If you like to supplement your T-shirt collection every year with a couple of new recruits, you�ll want to take a closer look at our latest crop of summer tops. Take your pick from plain cotton or jersey marl colourways � each with simple crew-neck styling and a graphic print to the chest. 93pc Cotton, 7pc Polyester / Machine wash warm. Do not tumble dry.